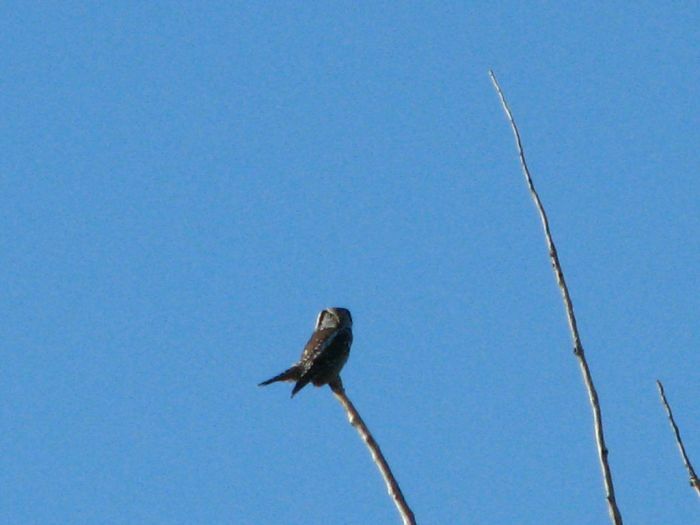 Photo of the seemingly resident bird on the northeast edge of Glenfield ND. Photo by Bob Neugebauer. 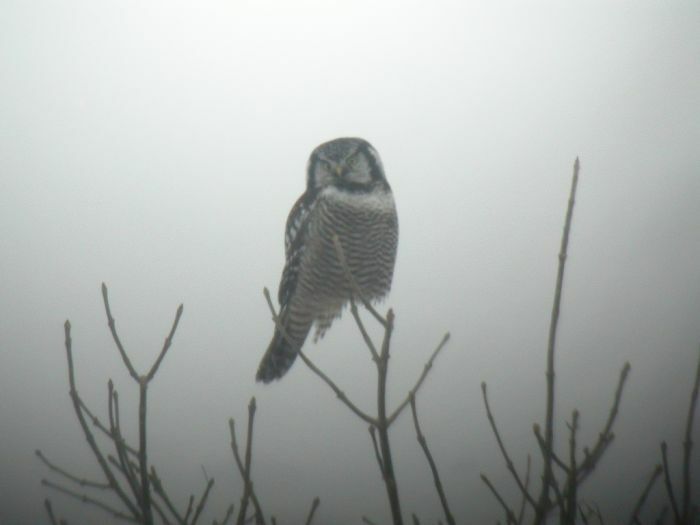 This guy was found by Tim Driscoll on 1/5/11 about 1 mile east of Glenfield on Highway 200. 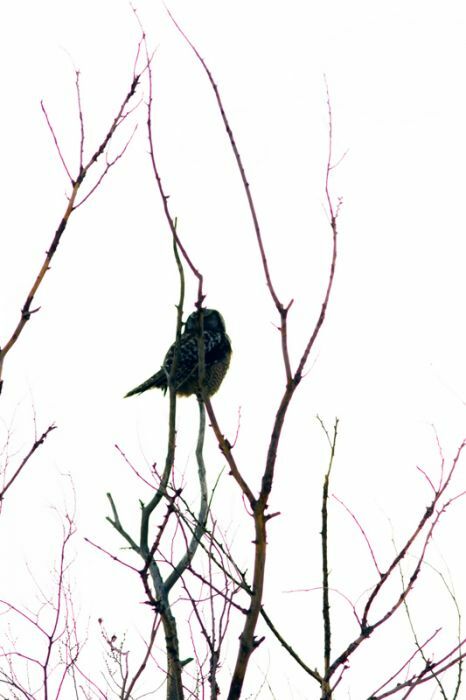 It was perched on the top of a lone tree on the south side of the highway. Taken: 2010-09-30 go 3 miles and turn left (west) on 21 Av NE, then go about 1.6 miles. FOund and photographed by Sandy Aubol. 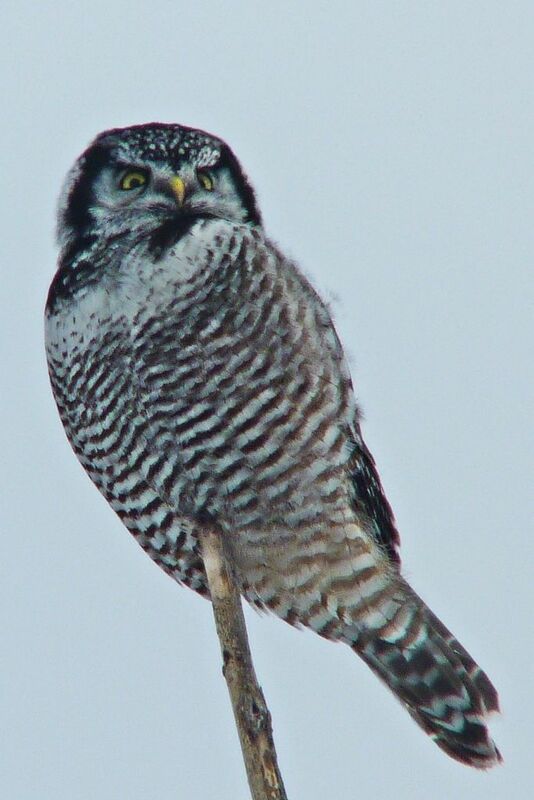 Northern Hawk-Owl - Cass Co.
A Northern Hawk Owl was found by Dean Riemer while hunting near Fargo. 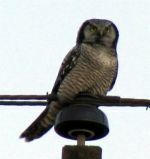 After several photos, the bird was not relocated the next day. Taken: 2004-11-13 Take the Wheatland-Chaffee exit from I-94 and go south on county road 5 for approximately 10.7 miles and you will see a bridge that crosses the Maple River. The owl was last seen at 5:30 PM on the second utility pole south of the bridge.